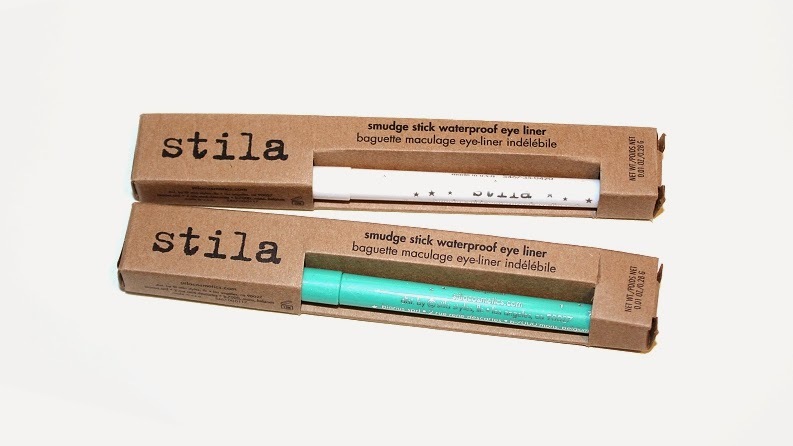 Stila Smudge Stick Waterproof Eye Liner (0.01 oz.) 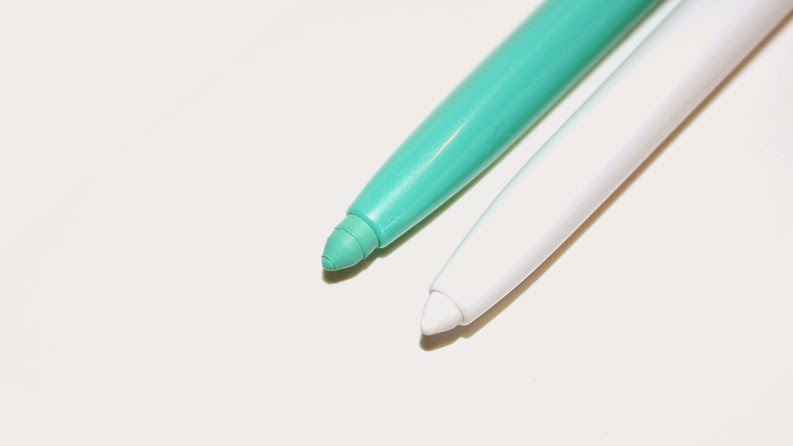 are a color-rich, vibrant, easy-to-use liner with staying power. 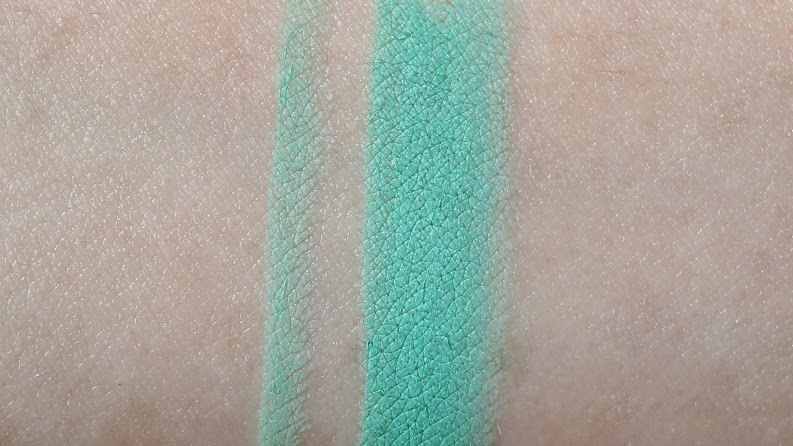 They individually retail for $20 USD ($26 CAD) and are available in 30 shades. * Alpine is described as a white. 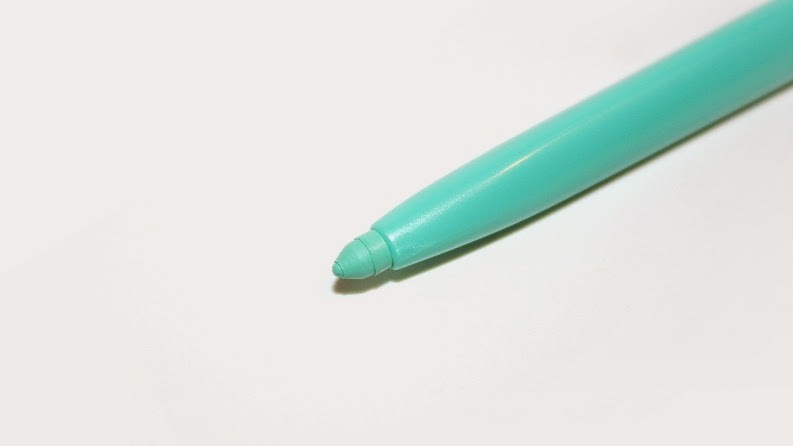 * Turquoise is described as a light turquoise. 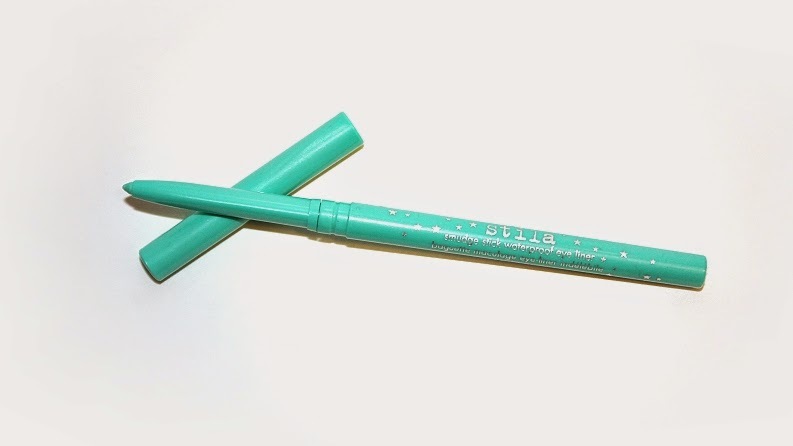 "This highly pigmented, waterproof eyeliner glides on to deliver intense, vibrant color with staying power. 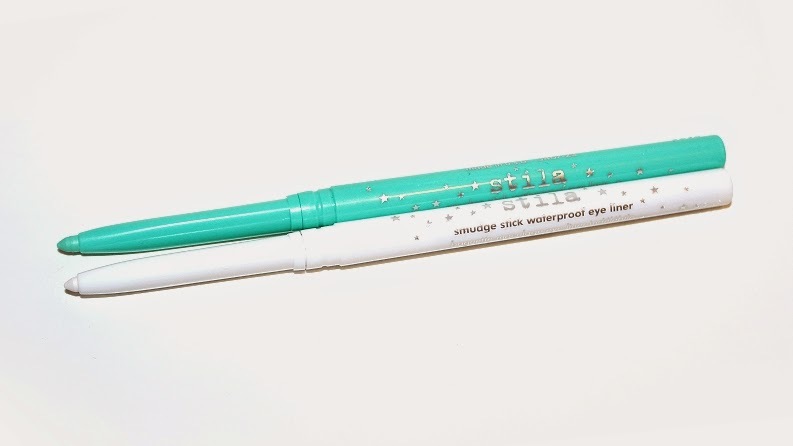 Soft, smooth, and easy on the eyes, Stila Smudge Stick Waterproof Eye Liner creates a high metallic, sultry, inky intensity that lasts." 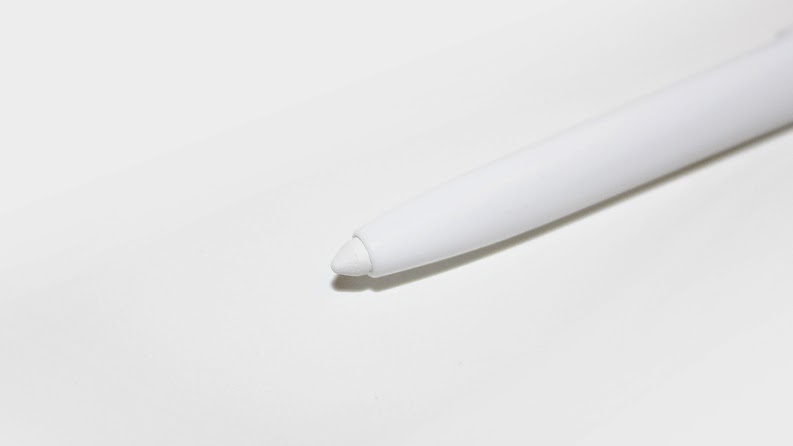 The packaging is a slim, twist-up pencil that is color coded depending on the shade. *Let me just start off by saying I've never hated a products packaging as much as these. The twist mechanism didn't work, the only way I could get more product was to hold the pencil upside down and turn repeatedly. Unfortunately, this made more product came out than necessary and there is no way to twist the product back in. (Seriously, why?!) 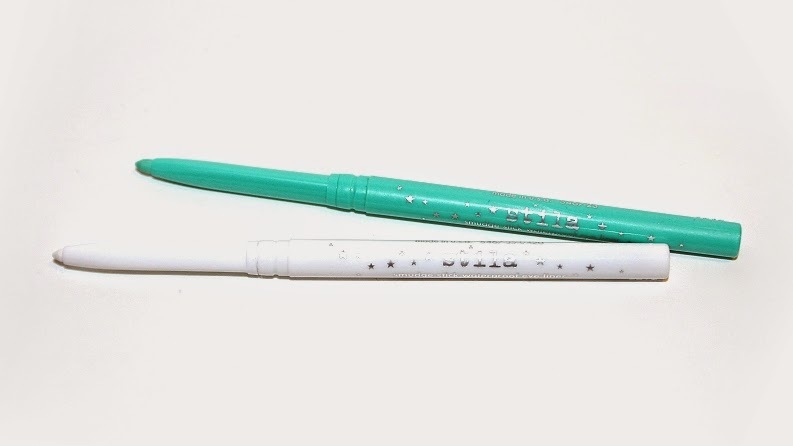 This irritates me beyond words and I won't lie, I was ready to return these pencils once I discovered that, but luckily their performance outweighed that major con. 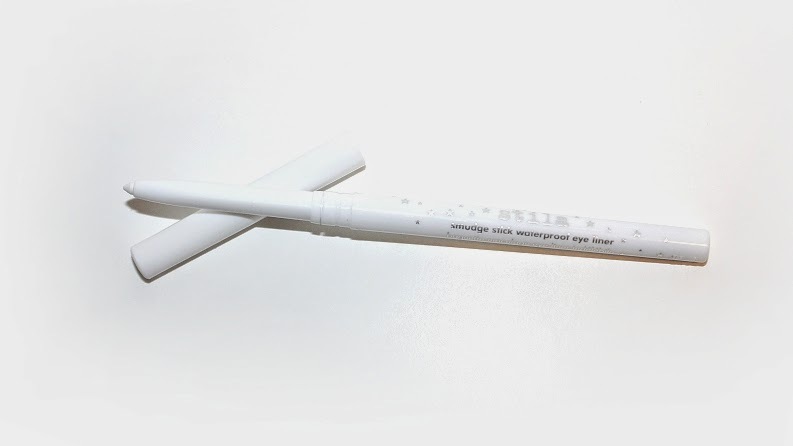 The product itself is a pigmented, long-lasting, waterproof liner -- as claimed. 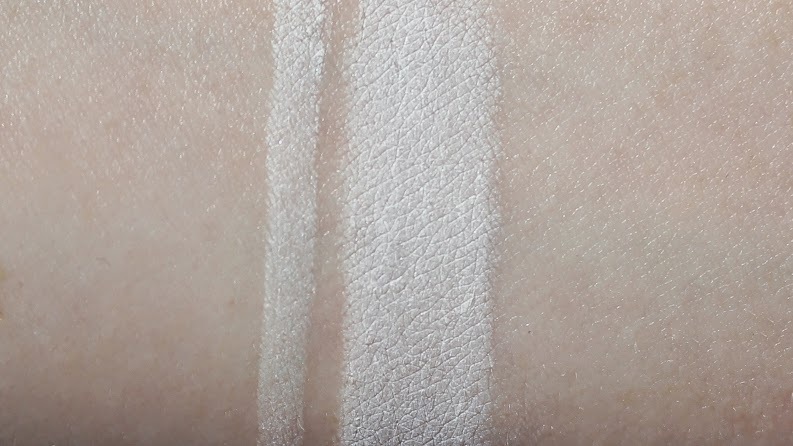 Both shades had opaque color payoff and were easy to smudge without tugging or pulling the skin and once set, they were long-wearing and waterproof. 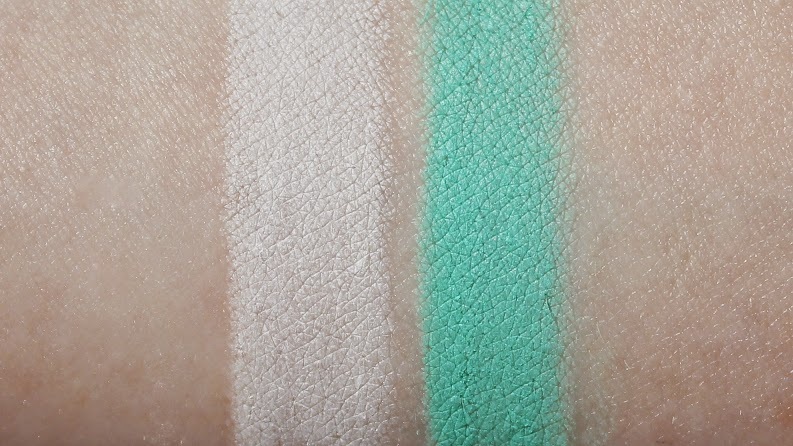 These liners applied creamy, smooth and glided on easily. On average, they wore +10 hours on the lash line and +7 hours on the waterline before showing noticeable wear. Overall, with this product it's really weighing the pros and cons for your personal best choice. On one hand you have a great product that performs well and is long-lasting, but on the other hand you have frustrating, flawed packaging and such a small amount of product for quite a pretty penny.